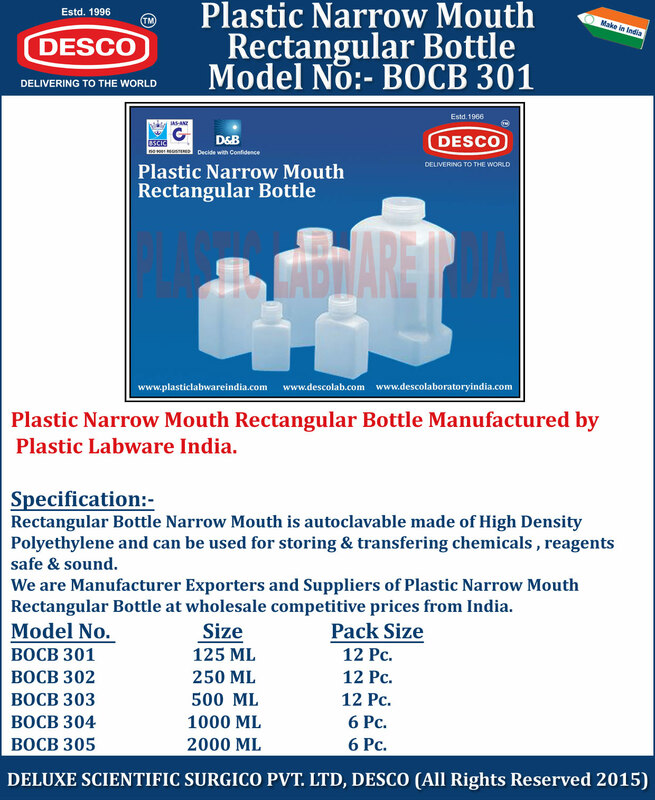 Rectangular Bottle Narrow Mouth is autoclavable made of High Density Polyethylene and can be used for storing & transfering chemicals , reagents safe & sound. We are Manufacturer Exporters and Suppliers of Plastic Narrow Mouth Rectangular Bottle at wholesale competitive prices from India. BOCB 301 125 ML 12 Pc. BOCB 302 250 ML 12 Pc. BOCB 303 500 ML 12 Pc. BOCB 304 1000 ML 6 Pc. BOCB 305 2000 ML 6 Pc.